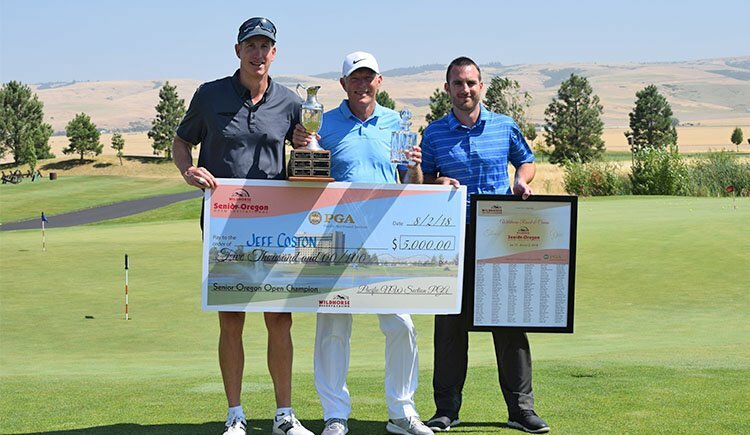 PGA Professional Jeff Coston of Semiahmoo G&CC won the Senior Oregon Open Invitational by one stroke over amateur Erik Hanson of Sahalee CC. In third place was PGA Professional Tom Sovay of The GC at Redmond Ridge. This marks Coston’s sixth win. He won in 2007, 2009, 2011, 2012, and 2017. Coston has won half the years he has been eligible to win this championship. 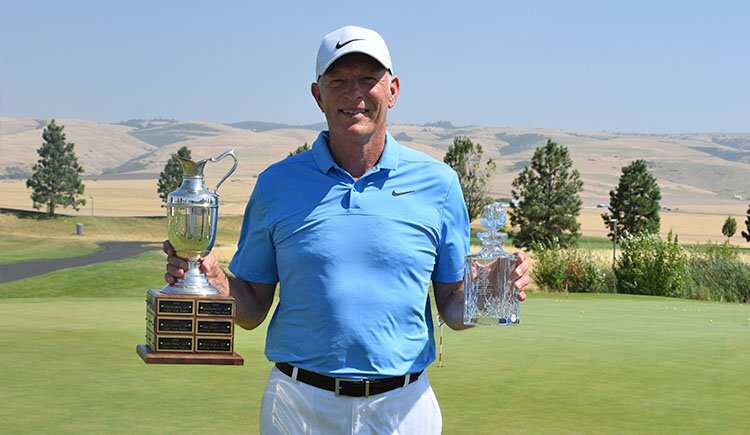 The Senior Oregon Open Invitational is a 54-hole individual competition with a 36-hole team competition. Teams are comprised of one professional and three amateurs. 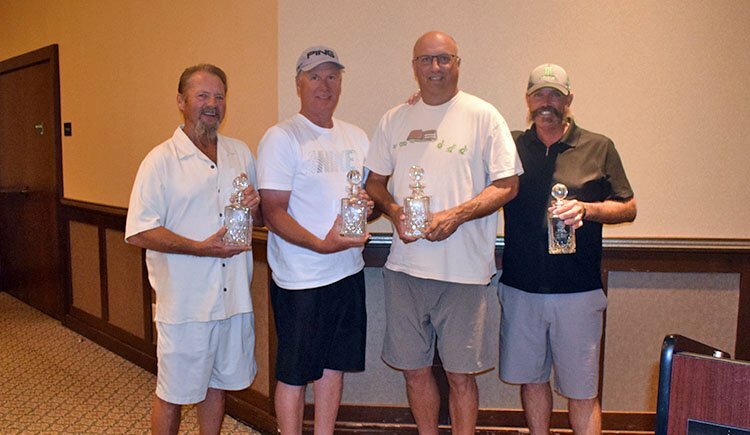 The team led by PGA Professional Billy Bomar, Mike Kerns, Dave Steinbach and Lloyd Dresser won the team competition of one gross, one net at 90% handicap. They fired rounds of 121-123-244, 44-under par. This is the sixteenth year in a row to the popular Wildhorse Resort and Casino, who the PNW PGA is proud to retain as the title sponsor. Thank you Wildhorse Resort! Wildhorse championship golf course was designed by John Steidel. Nestled at the base of mountains and wide open terrain, the course is modeled after a traditional Scottish links-style course with plenty of bunkers and tall grass lurking to make you work a little harder than usual. Each hole is surrounded by spectacular, unobstructed vistas with gentle rolling hills and fairway mounds reflecting the foothills of the Blue Mountains.